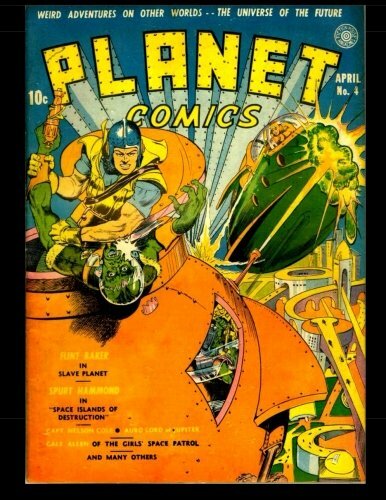 Planet Comics was a science fiction comic book title from the golden age. It was produced by Fiction House running for 73 issues from January 1940 to late 1953. Planet Comics was the foremost purveyor of good girl art and is considered highly collectible and valuable. The comic reprints from UP History and Hobby are reproduced from actual classic comics, and sometimes reflect the imperfection of books that are decades old. These books are constantly updated with the best version available - if you are EVER unhappy with the experience or quality of a book, return the book to us to exchange for another title or the upgrade as new files become available.